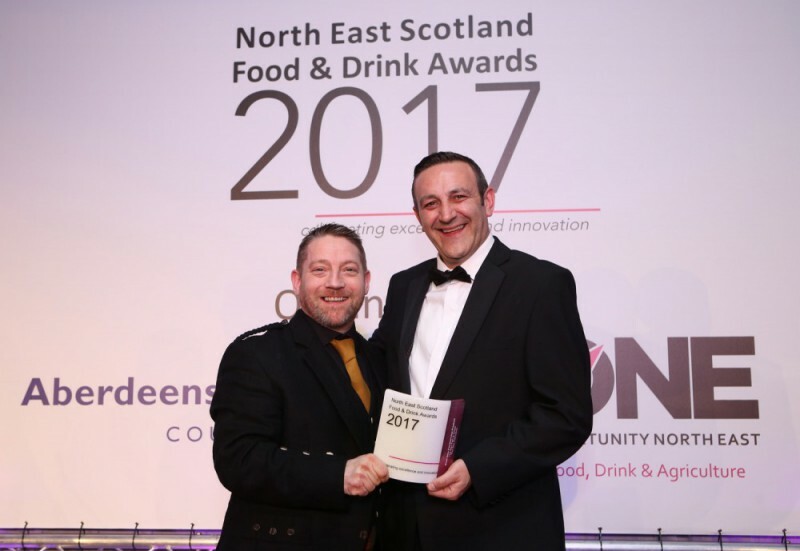 We’re thrilled to announce we won the Best New Foodservice Product for The Bay Fishcakes at the prestigious North East Scotland Food & Drink Awards last week! The awards ceremony and dinner, which celebrate excellence and innovation in food and drink in Aberdeenshire, Aberdeen City and Moray, took place at Ardoe House Hotel in Aberdeen. A record number of entries were received for the awards, with a higher number of companies than ever before entering. In all, there were 27 businesses shortlisted, with 11 businesses recognised as winners on the night. It’s truly an honour to be recognised by the North East Scotland Food & Drink Awards for our Bay Fishcakes. We started production of The Bay Fishcakes at the start of 2017 and it’s already opened up so many doors to different sectors, business collaborations and foodservice contracts. Recognition for our products at this level is a fantastic achievement for everyone behind The Bay and we couldn’t be happier.